Heavy rain fell hard over Yaoundé, Cameroon just last Saturday, but this did not stop anyone from missing the Total Experience Yaoundé at the ‘Palais Polyvalent des Sports’. According to a LoveWorld report, “6,135 people braved severe weather” and “728” joined via the internet connect online. Attendees came from 11 different countries, these included United Arab Emirates, France, Gabon, Germany, Congo DR and many more. Certainly, a notable feat of the Christ Embassy. he esteemed Virtual Zonal Pastor ministers God’s Word to the congregation at Total Experience Yaounde. The city of Yaounde was filled with utter excitement in the days leading up to the program. 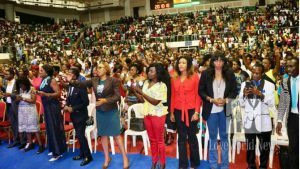 Expectations were running high over the anticipated miraculous occurrences and the thousands of prospective guests of the Lord created a national buzz. Yaounde residents were heard loudly rejoicing in the streets weeks before. Online forums were also reportedly inundated with praise, comments and discussion. The event opened with a session of fervent prayer, led by LMAM All-Star, Martin PK. After the powerful prayer session, spirits were riled up, and the attendees’ spirits were lifted to the of highest planes. The worshiping was followed by a series of spectacular celebrations that included dance performances by the LCAA Dance Group and musical performances by a talented array of LMAM artistes. 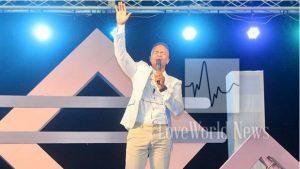 Pastor Akin Oketunji, the respectable and highly esteemed Christ Embassy Virtual Zonal leader ministered at the event, and according to LoveWorld News, taught on the topic, ‘the Christian Identity’. Pastor Akin gave a sermon that was “elucidating on the divine life that is the present-hour reality of every Christian.” His words stirred the believers to a “glorious life in Christ” causing the many souls, seeking to get saved felt strong sense of enlightenment and salvation. 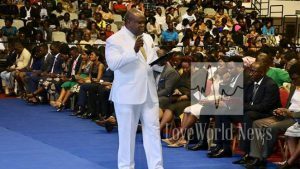 LoveWorld News reported on the amazing amount of savings. 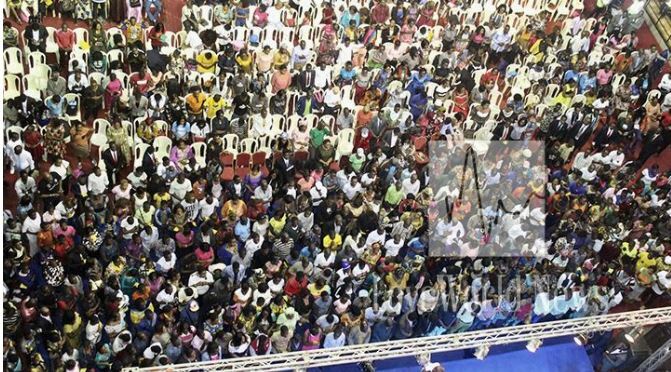 “When the altar call was made, a glorious sight of 1,006 souls swarmed the stage with great enthusiasm to receive Christ into their heart. As Pastor Akin began to minister to the sick in the audience, commanding the demons to come out of their bodies, several miracles erupted throughout the arena, and many testified to God’s saving power and goodness”. Volunteers and fellow Christ Embassy members distributed thousands of copies of the Rhapsody of Realities, Pastor Chris Digital Library vouchers for the ‘Year of the Supernatural’ message, books and audio-visual materials were available in French too, there were also explanations on how to access materials online Handouts were especially made available to new-comers and first timers. This event certainly left the entire nation of Cameroon saturated with Gods endless love, imparting the people with peace and inspiration.